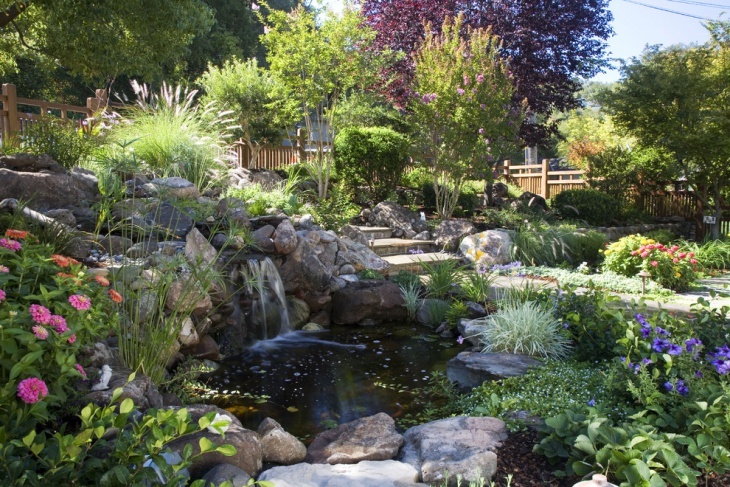 Nature lovers find their ideal taste in garden ponds. 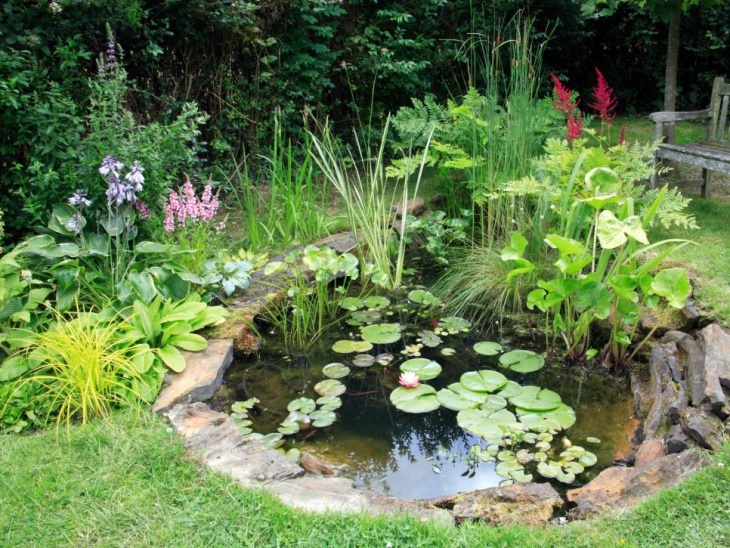 In case you have a garden, you can design a small pond in it, so as to enhance the touch of nature around your home. 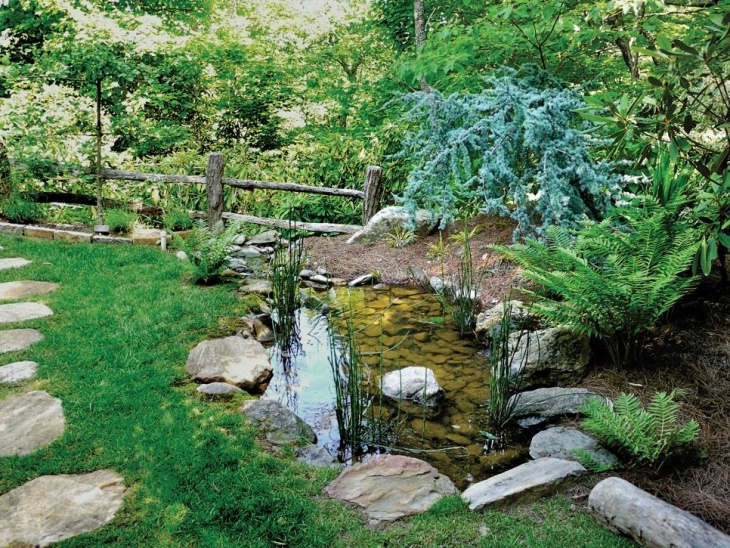 Well, if you really have a taste for natural settings, there are some stunning garden pond ideas that you can incorporate. 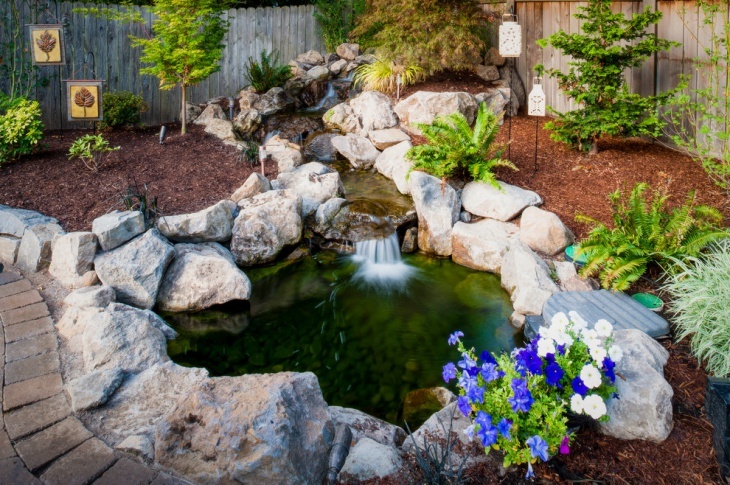 A Backyard Pond looks great when it is set in the lap of nature. 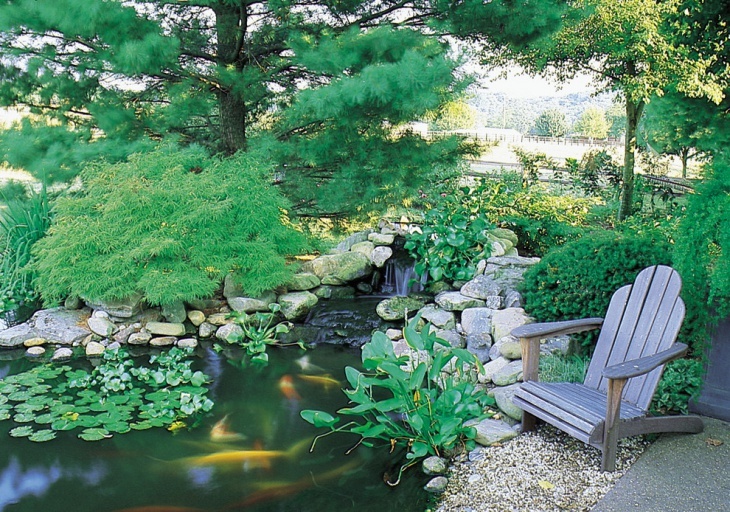 Here are ten beautiful garden pond ideas that you may opt for. 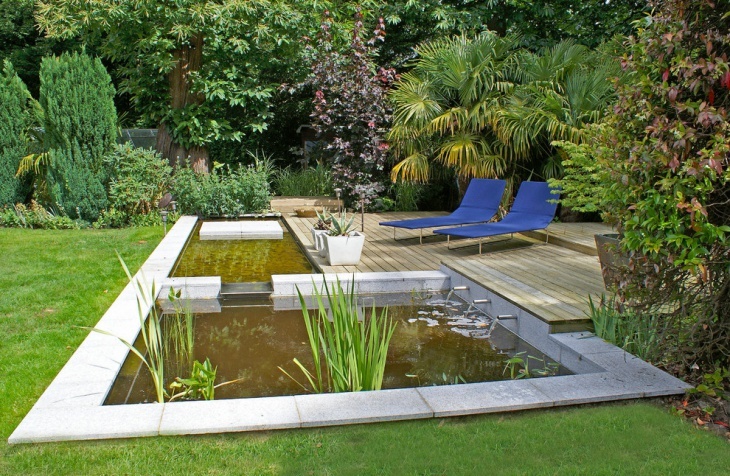 Houses with limited space in the backyard can count on this particular design of garden pond, preferably near a patio. The garden pond is elongated in structure. It looks great when there are reddish-brown bricks for the patio. Use the same color for the deck for plants around the pond. When there is a spacious garden in your compound, you can dig a sizable pond. In this setting, the natural inclination of the land towards the pond looks beautiful. With bright green grass glorifying the garden, you will get a perfect combination as your asset. 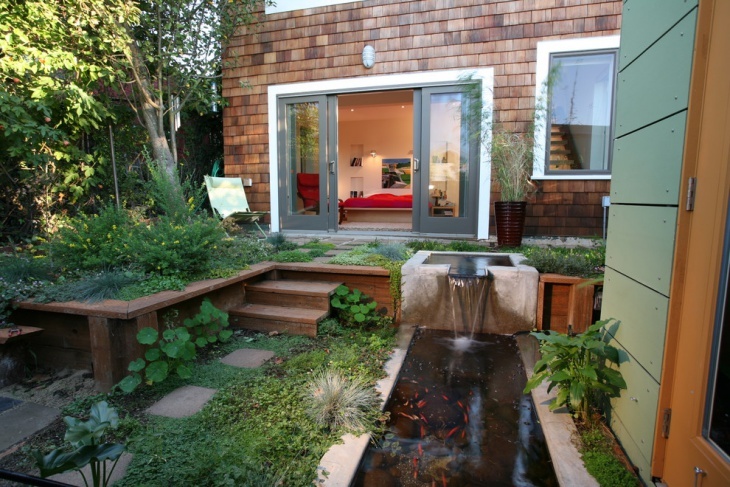 A small patio in near the pond with a wooden roof delivers a sophisticated look to the garden. 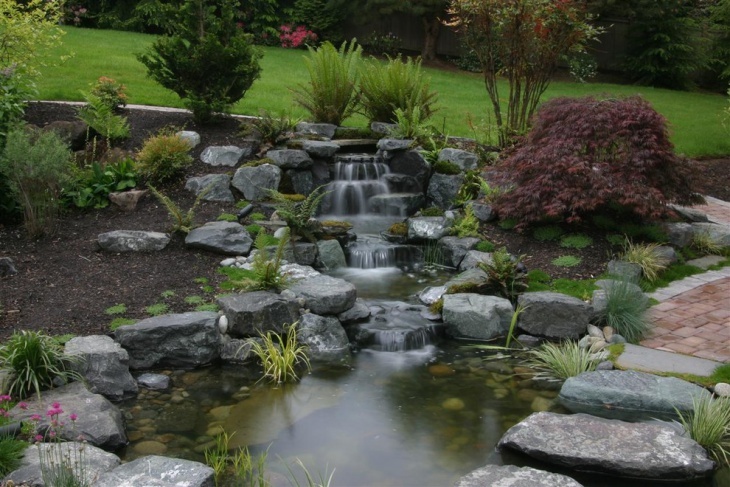 A perfectly crafted rock garden goes beyond the ordinary designs. You can use large granite boulders, pink in color to create a stunning beauty in your backyard. 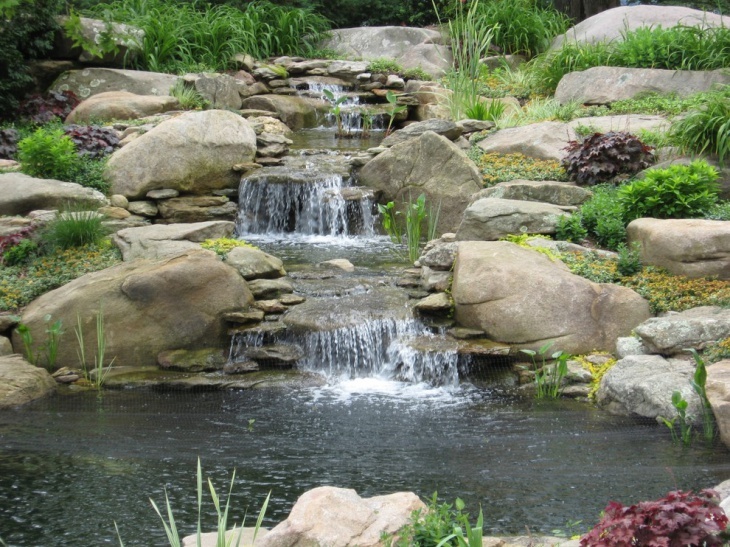 The weathered rocks look great when they are incorporated with a number of tiny ponds, and there is a natural waterfall that makes the garden a treat to cherish. 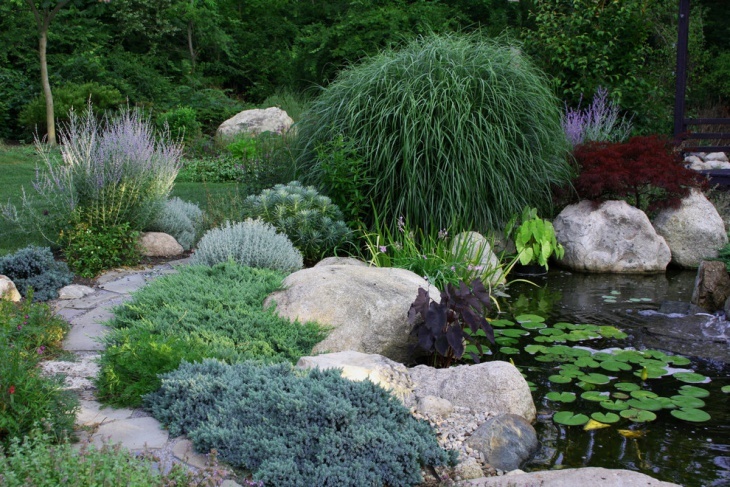 A small rectangular pool of water can make an ordinary garden beautiful. There is a narrow walkway around the pond. The bright turf looks appealing, and you can arrange for blue resting chairs beside the pond to enjoy a nice place in your leisure hours. 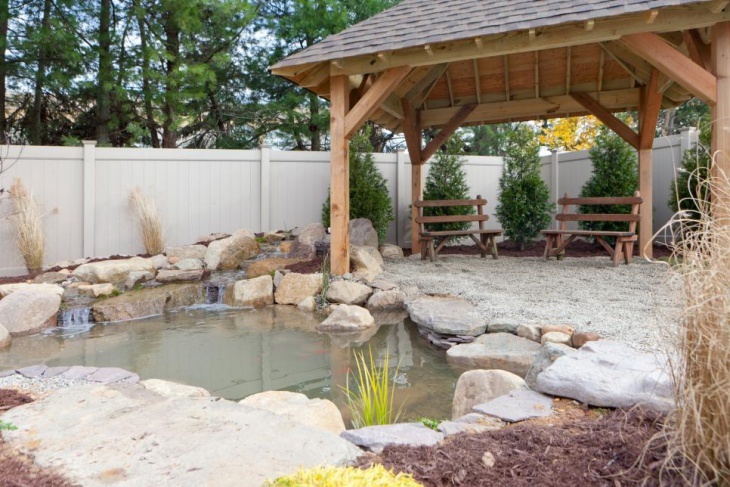 Just imagine a perfect combination of moss-green water, whitish boulders and lush green vegetation in your backyard. This is one of the most natural settings where you can breed fish in the water. 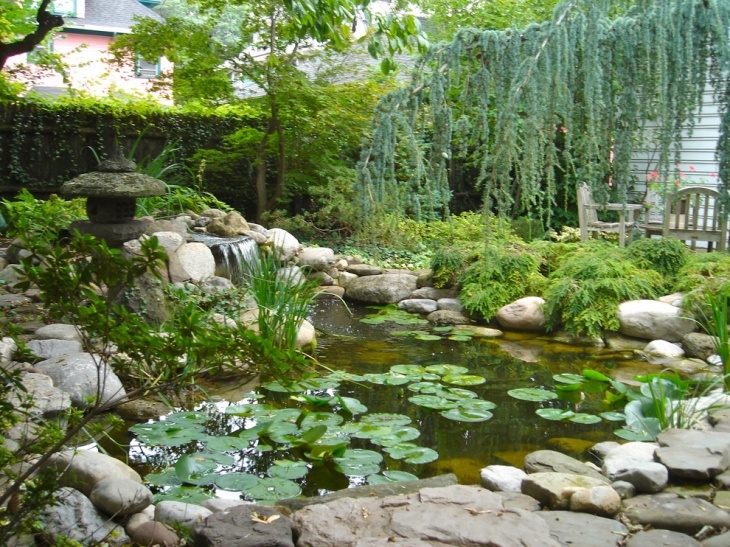 There are floating lotus leaves on the water and small waterfalls to further enhance the look. 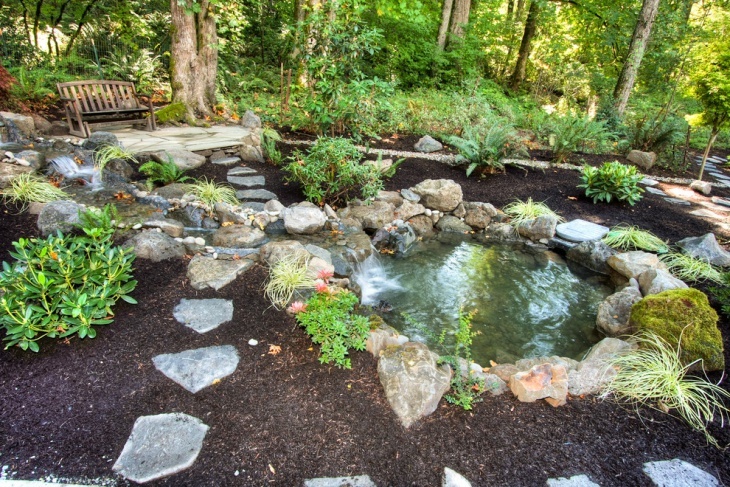 You can incorporate the garden pond design idea even in your courtyard, amid big trees. The tree-lighting looks beautiful with the pond at its foot. 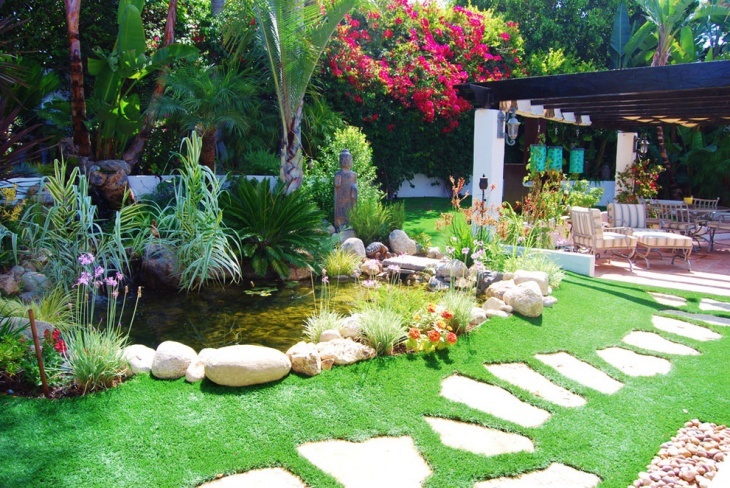 Green turf makes the garden further pleasing in appearance. 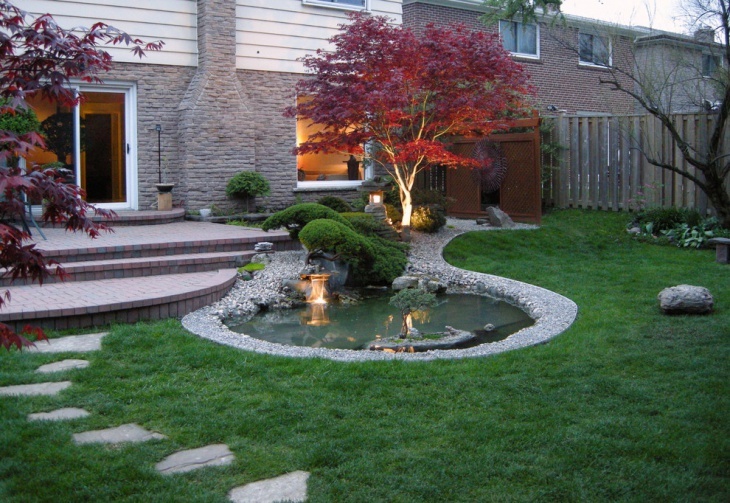 Pave the path leading to the home with irregular pavers, and use the same grey-colored stones around the pond. There are a few bonsai plants around the pond that make it really gorgeous. When you have a natural fish pond around your garden, you can use a brick paving around it to get the right match. There is a narrow passage of water that connects two water bodies. You can use boulders to have a space for footing. Colorful flowers and round floating leaves make the waterbody natural in look. 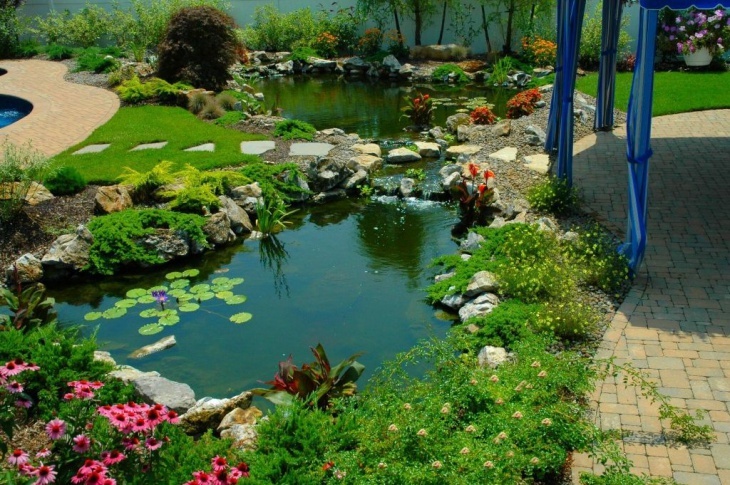 People who feel the call of nature may incorporate a rock garden with ponds in the centre. There are a number of boulders surrounding the area. The brown and white natural combination delivers a classy look to the rock garden. The pond has a rough edge with weeds growing around it. 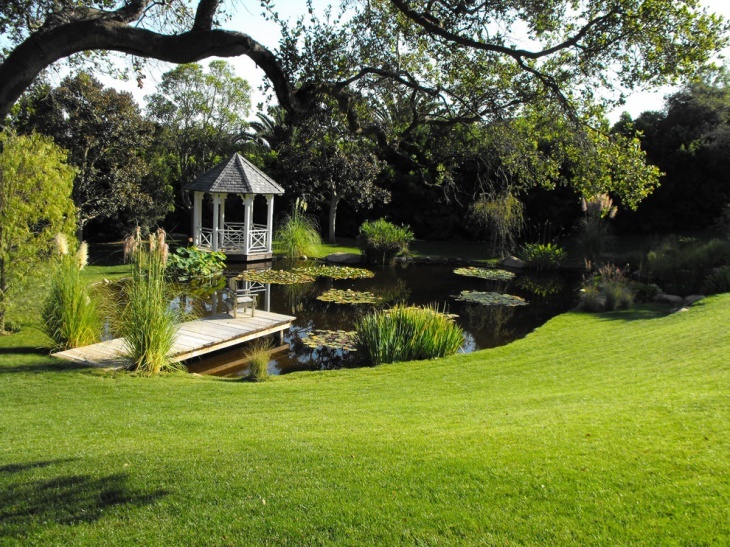 The designs and areas covered by the pond depend on the landscape and vegetation in the garden. 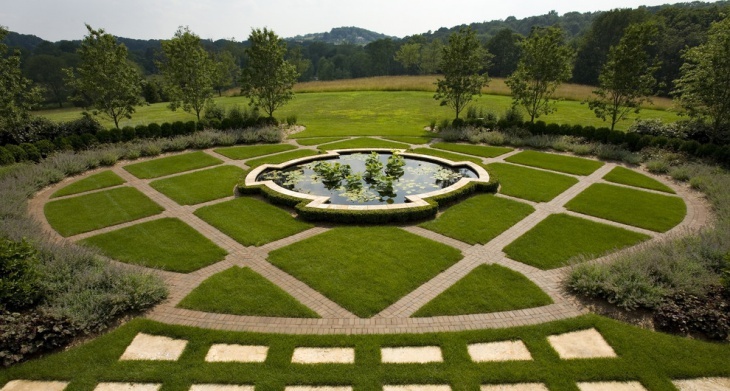 There are different other types of gardens like Topiary Garden and Rooftop Garden. Apart from these, you may have your own ideas and innovations. If you have something new in mind, feel free to share them with us.